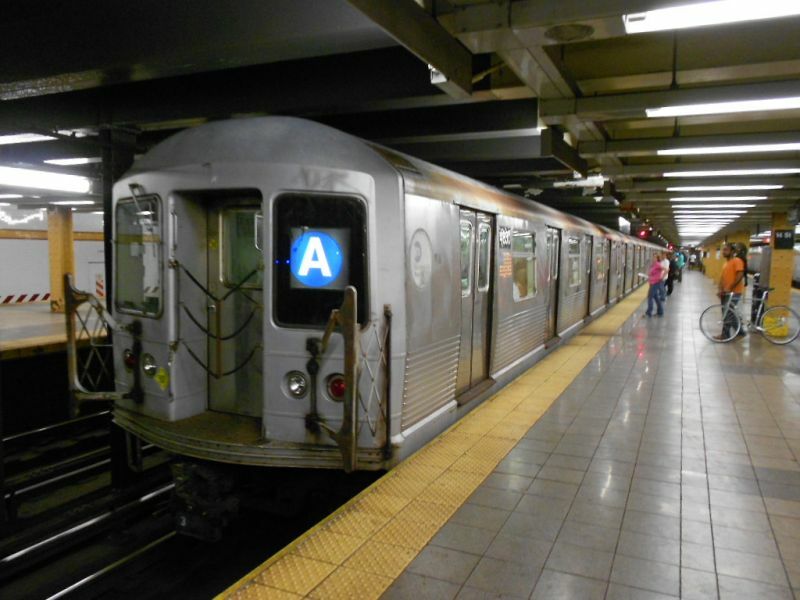 This weekend, from 9:45 PM Friday, August 24 to 5:00 AM Monday, August 27, there will be no service from Manhattan to High Street, as A and C trains will be diverted to the F line between West 4th Street in Manhattan and Jay Street-Metro Tech. Use the York Street station in DUMBO or Jay Street, or switch to a Manhattan bound train at Jay and ride it one stop to High Street. From 10:45 PM Friday to 5:00 AM Monday there will be no Manhattan bound service at York Street, as F trains will be diverted to the A/C line from Jay Street to West 4th. to reach the LES stops on the F, take an A, C, or F from Jay or High to West 4th, and change there for a Brooklyn bound A, C, or F. For those traveling to or from Bay Ridge, from 10:45 PM Friday to 5:00 AM Saturday, and during those hours Saturday to Sunday and Sunday to Monday, there will be no late night R service. N trains will run between Court Street or Jay Street to 36th Street, and shuttle buses between 36th and 95th streets. On a positive note, From 11:00 PM Friday to 5:00 AM Monday there will be extra service to Manhattan from Court Street and from the R platform at Jay Street, as Manhattan bound Q and Manhattan and Queens bound N trains will be diverted to the R line. The following work week – Monday, August 27 to Friday, August 31 – each night from 9:45 PM to 5:00 AM there will be no 3 trains running, but 2 trains should be running normally. 4 trains will provide alternative service to 3 train stops from Atlantic Avenue to New Lots Avenue. On these same nights, from 11:45 PM to 5:00 AM, there will be extra Manhattan bound service at Court and Jay streets, as Q trains will be diverted to the R line between DeKalb Avenue and Canal Street.